My marriage is what people consider as ‘baru setahun jagung’. We are still exploring each others personality, likes and dislikes. He still wont tell me his blood type which is very annoying. Anyway, despite our busy schedule Mr Husband came up with a little surprise trip to a nearby waterfall. Including a nights stay at the resort!! It was the Gunung Ledang Resort located somewhere within the area of Sagil in JOhor. It was only an hour journey from our own place using the PLUS highway. Furthermore we had PLUSMILES, so were not bothered about the toll fees. The waterfall was hidden within the lands of sawit trees. As predicted, there were lots of people as it was the weekend. Some were there only for a daytrip whereas some had activities lined up, especially those college students from nearby centres. Others came out of curiosity and just wanted to go to a nice place to relax. It was a fairly affordable trip. Standard Room: (in fact cheapest) MYR180 per room/night including buffet breakfast which was not bad. It was more of a local spread as opposed to a more Western one. 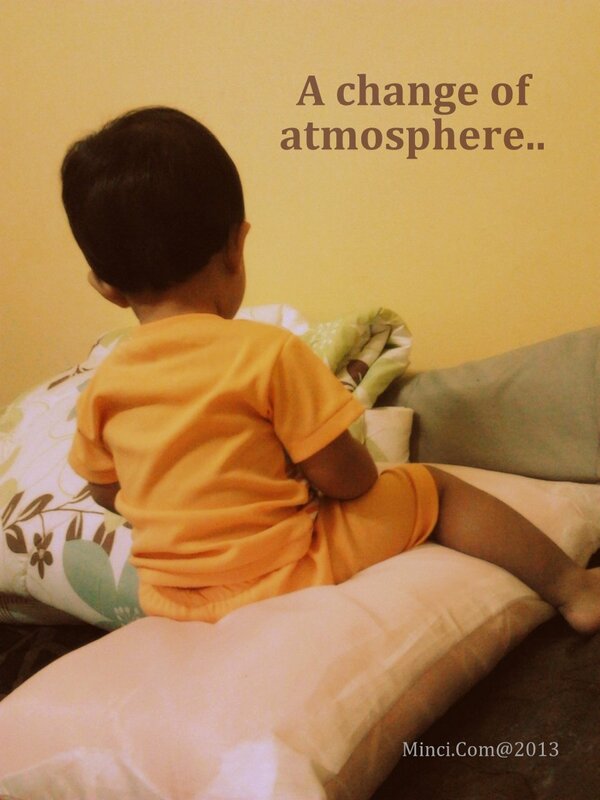 My boy enjoyed the change in atmosphere and so did we. Next weekend? Hmmm..
« Tegas, Adil & Berhemah. Yes, they are.